Your home shelters everything you treasure. It protects your family from the elements, and it safely stores your valuables, like your car or family heirlooms. But what protects your home? 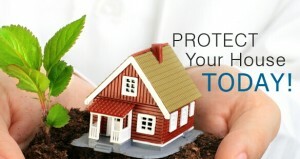 Home insurance covers your most valuable investment so that you have a financial safety net after theft or damage. It also protects you from any personal liability lawsuits that arise from accidents or injuries on your property. Replacement cost coverage: If a disaster destroys your home, we can help you replace it. Contents coverage: We can also protect your belongings whether you’re away or at home. Mobile home coverage: Even smaller, less permanent structures need protection. Condominium coverage: We also offer coverage options for condominiums. Renters’ coverage: Even renters need insurance to protect their property and cover liabilities. Boat owners’ coverage: We can even extend coverage to your watercraft. We also have a number of special coverage options for seniors, non-smokers, new homeowners, and customers whose homes have alarms. We also offer claims-free discounts for those who have never filed a claim. You deserve to feel safe and secure in your home, and we’ll tailor an insurance plan to help you achieve that goal. To learn more about home insurance in Edmonton or Sherwood Park, CALL US, or click the button at this page to fill out our ONLINE FORM, or visit us at our Sherwood Park office. We look forward to protecting your home. Get Your FREE Online HOME Insurance Quote Here!